In January, Anushka Nunes went to one of the offices of the Brihanmumbai Municipal Corporation (BMC) to collect her 10-day-old daughter’s birth certificate. Nunes, 35, is a design professional now living in Bengaluru; she grew up in Mumbai and stayed there through her pregnancy and delivery. At the BMC counter, Nunes gave the necessary details to the official in charge of birth certificates: her daughter’s name, birth date, the name of the hospital where she was born and the mother’s name. When it came to filling in the space for “father’s name", Nunes simply said, “It will be blank, I am a single mother", mentally preparing herself for difficult questions and long explanations. To her surprise, the official matter-of-factly filled in the rest of the form, signed and stamped it, and handed it to her—and that was that. Nunes is a single mother who opted for an IVF procedure and gave birth to a baby girl in January, and she has the Supreme Court to thank for her experience at the municipal office in Mumbai. In July 2015, the court ruled that when a “single woman or unwed mother" applies for her child’s birth certificate, it must be issued on the basis of her affidavit and without insisting that she disclose the name of the father. “In today’s society, where women are increasingly choosing to raise their children alone, we see no purpose in imposing an unwilling and unconcerned father on an otherwise viable family nucleus," the Supreme Court bench of Justices Vikramjit Sen and A.M. Sapre had observed in their judgement. It was a decision that signalled a welcome acceptance—in law if not universally in Indian society—of non-traditional families and the growing number of single parents in the country. In tier-1 cities, at least—and, admittedly, among relatively privileged individuals—being a single mother is no longer taboo, though conversations around assisted reproduction may remain somewhat cagey and stilted. After the birth of her daughter, Nunes moved to Bengaluru to be close to her parents, and as we sit chatting in her drawing room on a recent morning, her mother is playing with her daughter in the dining space. It hadn’t always been easy to handle the conversations around being a “single IVF mom"— but it is getting easier, says Nunes. When she first moved to a flat in the same apartment complex as her parents and was looking for reliable help, her mother had felt compelled to answer the question “Where is your daughter’s husband?" evasively, with some vague answer of him living abroad. “But no one seems bothered anymore. There haven’t really been any more questions or awkward moments," says Nunes, putting to rest the stereotype of the perennially nosy neighbourhood auntie. Friends do ask her why she chose to become a single mother—and the answer is simple, says Nunes. “I wanted to be a mother. I always wanted to be a mother. I started crocheting booties and sweaters for my future baby when I was in my 20s." Through her 20s, Nunes lived like any millennial: travelling, partying, working crazy hours. “But I’m an extreme sort of person. I don’t do anything by half. When I decided it was time to have a baby, I didn’t want to sit around waiting for the ‘right person’ to come along. Having a baby was important to me, not having a baby with a particular person," says Nunes, who used donor sperm to conceive. The only criteria for the choice of the “father" was that he be a valid, registered donor without any physical or mental health issues. As soon as she found she wasn’t pregnant, she had the presence of mind to call the hospital which had a back-up sample of her husband’s sperm—hospitals usually discard this if the implantation is successful—asking them to hold on. Within a couple of months, she had started looking for the best possible doctor and hospital to conduct the IVF procedure. “Yes, it was really important to me to have Gaurav’s baby. And I know I didn’t have too many chances because we had a limited amount of sperm," she says. Even though Bengaluru is her home, she chose to see the high-profile Dr Firuza Parikh at Mumbai’s Jaslok Hospital and Research Centre, travelling to Mumbai every few months for the treatment. Her son was born in August, exactly three years after her husband’s death, almost to the day. “In fact, the first time I held him in my arms was on 11 August, at around the same time that Gaurav had his accident three years ago," she says. On her Facebook wall, she wrote: “He’s here finally!!! Gaurav Shanbhag toldja I’ll get u back!" Jain has been incredibly open about her IVF journey. She wrote about her grief, hopes and frustrations on Facebook and on a blog, A Piece of Him, recording her struggles with getting pregnant, including the several painful egg-retrieval procedures and failed implantation attempts she went through, the gall bladder surgery that took her by surprise, about travelling to Mumbai and staying on her own in hotels and Airbnbs while undergoing hormone therapy, about feeling lonely and broke, and about finally opting for a surrogate to carry the baby to term when several attempts at embryo transfer were unsuccessful. “I was determined and focused. It was my project, the one that kept me sane," she says. When we ask Dr Parikh how many single women opt for IVF, she says that while absolute numbers may not be very high yet, it is significant that single women (and a few men) are looking at assisted reproductive technology (ART) to become parents. “The idea crosses several women’s minds—the biological need is strong and many women will enquire. It is sometimes a fleeting thought and sometimes an exploration, for marriage is either not on the horizon or they have opted to not marry. But, there are few women who will actually contemplate and go forward with it," she says. Dr Parikh is considered one of the most successful fertility experts in the country, and is credited with helping 11,000 couples and individuals have children using ART. Not only has she treated celebrities—she helped actor Aamir Khan and Kiran Rao have a child through surrogacy, and fulfilled actor-producer Tusshar Kapoor’s dream of being a single father—she is also frequently in the news for pushing the boundaries of reproductive medical technology and genetics. Recently, she helped a Bengaluru woman carrying the deadly mutated BRCA1 gene give birth to twins who were not carriers of the mutation, using a method called preimplantation genetic testing (PGT), and implanting only those embryos that did not contain the mutation. Single women also have the choice of surrogacy in India, but for the ones who want to carry their children, says Dr Parikh, society is more accepting than it was a few decades ago. To prepare single women, there are mandatory counselling sessions that make them aware of the full extent of their choices. “Instead of looking at this as a ‘normal’ situation, we make the patient understand all her responsibilities and how the children will be brought up. Sometimes a woman hasn’t thought it through and this is good groundwork. They also have to be psychologically and financially stable," she explains. Most of the time the criteria that women look for in a sperm donor are health, education and height. Dr Parikh says her department has at least four-five women coming in every month to understand the possibility of single parenthood. “Of these, two-three will freeze their eggs and usually, every four months or so we have a patient who actually undergoes IUI (intrauterine insemination), IVF or surrogacy to have a baby," says Dr Parikh. Dr Nandita Palshetkar, who helped actor Diana Hayden have her child using frozen ova, too says she has quite a few patients who are single, most of them aged 35-40. Many are single women who had frozen their eggs and are now coming back to conceive through assisted reproduction. “These could be women who are not ready to marry, or may have been widowed, or have had bad marriages that ended in divorce. We see if they are mentally and physically fit and proceed," says Mumbai-based Dr Palshetkar. “It’s such a special process… if you want to become a single mom, you have to feel it yourself—you have to believe that it is really something for you. I was 100% sure that I wanted it and I am still 100% happy!" says Puducherry-based Alette (who wants to use only her second name), on email. Alette is a 38-year-old Dutch national who has been living and working at the Auroville ashram since 2011. “I want to tell other mothers that if they really feel this is what they want, they should do it. Of course, they can ask other people’s advice or experience, but they have to feel inside that it is something for them," says Alette, who conceived through IVF at Srishti Hospital in Puducherry under the guidance of Dr Soumyaroop Dash and Dr Sindhu Bhairavi. “Initially I went to a few hospitals who didn’t want to take my case as I wasn’t married," says Alette, who had two serious relationships that didn’t work out because her partners did not want children. “I wanted to keep doing my work here in India and that’s why I did the process in India and not in my country. Also I love India, so I was fine with an Indian sperm donor," she says. One of her friends at Auroville, a trained obstetrician, was with her throughout and at the time of her delivery, one of her closest friends from the Netherlands came down to be with her. Alette’s son Andre is around 10 months old now. “He is a happy baby! He doesn’t cry much. I am very much enjoying motherhood," says Alette. When Mumbai-based Rutu Parikh was 38, she decided she wanted a child. She had had some serious relationships, but none of them had led to marriage, and she felt it was up to her to go ahead. “Initially, I was scared and I wondered if my family would agree or not," says Parikh, who is now 43 and has a four-year-old daughter. She did find the support she was looking for, though. “When I told my mother about my decision, she encouraged me, showing how I have been a mother to my nieces and nephews. 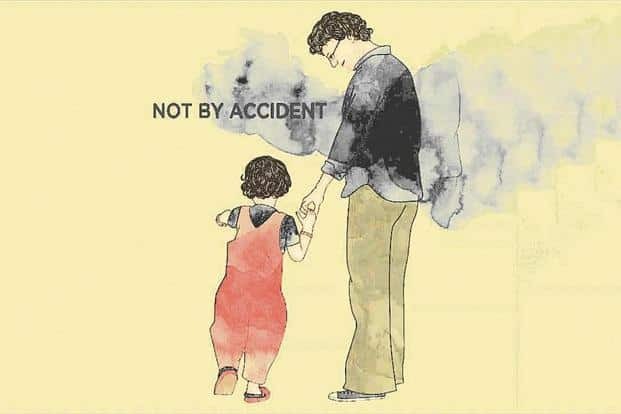 She first suggested that I look into adoption, and even gifted me a book about it. I read it several times, but I felt it wasn’t the right choice for me; I wanted my own child. My mother agreed with my decision, but then we had to think about how to broach the subject with my father," says Parikh. She gathered together her allies—her mother and her mother’s closest friend—and explained it to her father. She had thought that given their conservative Gujarati background, her father wouldn’t be happy with the idea. “But he was perfectly fine with it, as were my brothers. Till my child was born, they were my only confidants," says Parikh. Once she had the support of her family, she approached Dr Firuza Parikh and started the process of extracting her egg and finding a suitable sperm donor and surrogate. She had quite a few instructions for the surrogate, right from the choice of food to the kind of music to listen to. Rutu Parikh says the principal of the school that her daughter attends was impressed by her decision to be a single mother, and she faced more curiosity than judgement. Her daughter has already started asking questions about her father. Parikh has explained to her that families can be different...that some people have both parents, and that some are single. “But she has enough father figures in her life. I get my father to attend sports day, and my two brothers will attend her concerts," she says. Sharing her experience, Jain says that apart from a few incredulous (and seemingly judgemental) questions from a Bengaluru radiologist who was conducting a trans-vaginal scan on her when she was trying to get pregnant (he kept asking her if she was single and if she knew that the scan could rupture the hymen—seeming to think that a single woman shouldn’t “risk it"), the response from friends and family has been largely positive. “Some of my relatives think I’ve adopted a baby and it’s fine… I can’t go around explaining everything to everyone," she says. Her parents and her late husband’s family have been supportive and happy, but she says she missed having Gaurav around every minute. “No one can replace your partner, no matter how much your family supports you. The way you can depend on your partner, make demands on him…it’s not the same thing with anyone else, no matter how close they are," she says. Nunes stayed with her best friend in Mumbai during most of her pregnancy, and she and her husband would often accompany her to check-ups and prenatal classes. “That led to some curiosity and hilarious situations," she says, laughing at the memory. One of the questions almost all the women we spoke to for this story have been asked is “Why did you go to so much trouble to have a biological child? Couldn’t you have adopted?" It’s a valid question but the response is nuanced, and varies from person to person. Nunes approached adoption agencies in order to start the process and was told she would be low on their priority list as she was “young and might have a biological child later". Jain says she was always keen to adopt and has serious plans of adopting a child once her son is a little older, but it was important for her to have a biological child that carried her late husband’s genes. While single women are legally allowed to adopt in India, adoption agencies have their own system of prioritization that puts relatively young single women far below couples who have been trying to conceive for years and are presumed to be more financially secure with a “settled" home. With single women, agencies are possibly wary of future partners and changing circumstances. Whether women adopt a child or opt for assisted reproduction, the point is not to judge them for their choice but celebrate the fact that it is possible for them to do so in India, where traditional ideas of what constitutes a ‘family’ have always been somewhat restrictive, even though Indian mythology is full of examples of non-traditional families—single women becoming mothers through divine intervention or a guru stepping in to fulfil the role of an absentee or impotent husband are especially abundant in the Mahabharat. Today, science has given women the agency to take charge of their lives without waiting for a willing and able partner. Kapila Sengupta, the 42-year-old associate vice-president of marketing at Virtuous Retail, which runs a chain of retail destinations across India, says her pregnancy was “the most glorious, beautiful time" of her life. “I was alone, never lonely. I worked like crazy through my pregnancy and never had the time to feel sad for not having a partner. I enjoyed every minute of it," says Kapila (she wants to be referred to by her first name), who became pregnant after 40 using donor sperm and IUI. Contrary to received wisdom, she had a smooth pregnancy—no morning sickness or complications or panicked runs to the doctor. When she got divorced after 11 years of marriage, Kapila’s primary thought was, “I was cheated of a child". “You know how after a divorce people say ‘Thank heavens at least they didn’t have kids’?, I was the opposite—I felt I should have at least gotten a child out of the marriage," says Kapila, whose daughter Elianna is just two months old now. Kapila, like all the other mums we spoke to for this story, is not very bothered about the “what will I tell people" question. She isn’t very close to her extended family, and the only people who matter—her mother, sister and her two nieces—are thrilled about having a baby in the family. In fact, when we meet on a sunny Bengaluru afternoon, the house is buzzing—Kapila’s sister and nieces are visiting, her daughter is gurgling in her cot, and Cookie, a Lhasa Apso Sengupta is fostering for a friend, runs underfoot. Holding her daughter against her cheek, Kapila says, “Elianna means ‘daughter of the sun’ in Greek. If she asks me who her father is, I’ll say she was a gift from the gods." 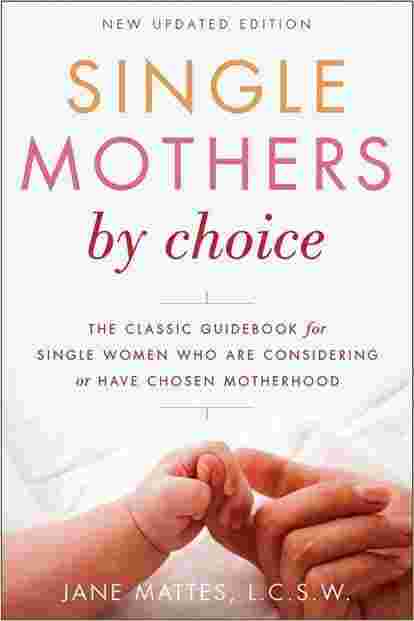 Single By Chance, Mothers By Choice by Rosanna Hertz: Hertz interviewed 65 women for this book on single mothers—many of whom are choice mothers—who spoke candidly about creating families that don’t conform to conventional definitions. An Excellent Choice by Emma Brockes: Journalist, memoirist and author Emma Brockes, who’s written for The Guardian and The New York Times, writes a touching and funny memoir about her decision to conceive a child on her own via assisted reproduction. Not By Accident (Notbyaccident.net): Australian mum Sophie Harper has recorded her journey of choosing to become a single mother using an unknown sperm donor. Today, she is the mother of three-year-old Astrid, and this podcast features significant events and candid conversations captured over five years. Also, don’t forget to check out the beautiful illustrations on her website. ChoiceMoms (Choicemoms.org): Listen to experts and single women talk about a range of topics on this podcast curated by Mikki Morrissette, a choice mother of two, and a former editor and writer with Time Inc. and The New York Times.